"Penny penny gained" - what does this proverb? Advice 1: Where did the expression "cherish as the Apple of his eye"
Very often a phrase used by us automatically, despite the fact that if you delve into their original meaning, to find it difficult. An interesting example is the origin of the phrase "cherish as the Apple of his eye". Like many other sayings and expressions in the Russian language, the expression "cherish as the Apple of the eye" has its origins in Christian Scripture — the Bible. This expression is found in the book of Deuteronomy in Chapter 32. The head is poetry — the song of Moses, and is replete with various artistic images that are characteristic of this genre. In the context of the whole Chapter talking about how the Lord carefully guards His people: "In the desert, He found the people, in the howling void of the wilderness. He protected him, cared for him like the Apple of the eye Bank" (Deut.32:10). A similar expression is found in the Psalms: "As the Apple of the eye me keep, and in the shadow of Your wings I take shelter" (PS.16:8). First of all, it should be noted that the Apple is old Slavic word meaning the pupil. In Scripture, God often attributed to images specific to the person. 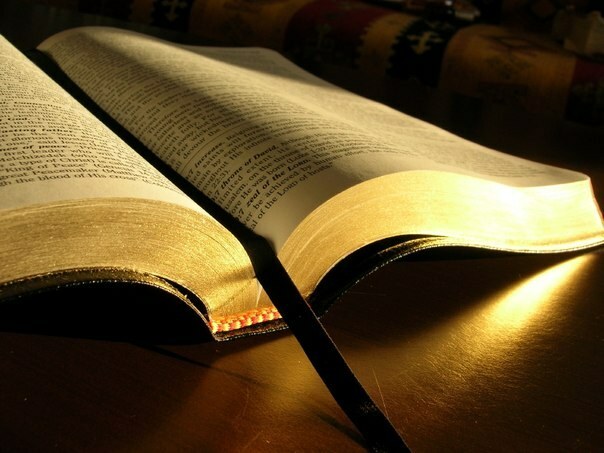 Eyes in the Bible often identified with the lamp of the body, leading him to the way of life (Matt. 6:22), with a water source, flowing water during crying (Lament 1:16), blind from old age eyes are compared to the fading light. People in the ancient world were struggling for survival with the elements of nature, and he had good health, especially good vision. A person deprived of view, became absolutely helpless. So people always kept the eyes from various hazards such as sand storms, from the enemy's guns, etc. Among the middle Eastern cultures such as the Philistines, the Amorites, the Babylonians were the common practice of puncturing the eyes of a prisoner of war or as a criminal punishment to the criminals. Thus the man devoid of eyes not only lost power but suffered severe torture. Well-known biblical character — the hero Samson, the Philistines gouged out his eyes, and he was only able to perform the functions of a draft animal, spin in a circle for millstone. The metaphorical meaning of this expression lies in the fact that many things in human life need particularly careful protection, and they should be protected as carefully and gently as his own eyes. For biblical context, this means that man gives God the quality of care and custody of a righteous man, transferring to God the way lean to care for your eyes. For the modern man the image of the eye pupil remains the symbol of frugality, something most precious. Advice 2 : What is the "Apple of his eye"
The expression "to keep as the Apple of his eye" is used quite often. It means "to treat something very carefully". But modern man in this idiomatic turnover not understood all the words, and the most strange sounds "Apple". The expression "keeping an eye" is very old, it is in the modern Russian language from old Church Slavonic. "The Apple" can be found in "the Word about Igor's regiment", and in the old translation of the Bible, and poems by Russian poets, fond of archaisms. For several centuries Russian language changed, there were new words, and many of the old out of use or remains only in idiomatic expressions are not always clear to the modern Russian. Some expressions were used once in a particular professional environment and was understood by all, but with the demise of disappeared from everyday speech. The second part of this expression more or less clear. The word "eye" has been preserved in almost all Slavic languages – Russian, Ukrainian, Belarusian, Polish, Czech, Slovak, and others. It means "eyes". In the Russian language this word has become a fixture of "high-calm", in other Slavic it refers to the regular household vocabulary. What is in your eye? Consider eyes. You can take a picture, you can look in the mirror. You will see that it consists of several parts. Is the eyeball is the iris, is the pupil. He is the most important thing in the eye. Now, of course, damage to the pupil is sometimes treated, but in ancient times people at the slightest trauma to the eyeball can cause blindness. 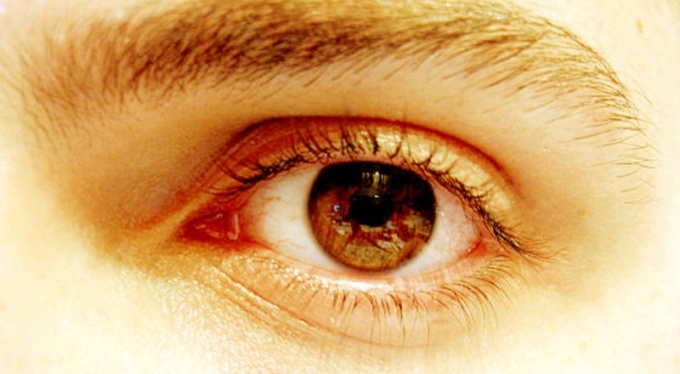 It is a black spot in the center of the eye called the pupil, and that it had to be protected. In Ancient Russia, as in any country, had its own laws. Modern man they can be cruel, but the people of that time otherwise to maintain order could not. And with those times came the expression "an eye for an eye" - again about the eyes. If you translate it into modern language, it would sound something like: "return the favor", "for a man to do what he did to you." Eyes is mentioned because in ancient times people valued the vision. The blind man, very quickly found themselves at the bottom of the social ladder, if only was not representative of the ruling family. Most of the crafts and military service were inaccessible to him. In everyday speech, the word "Apple" is rare. But this word has relatives that are not only casual, but even to the grass-roots vocabulary. The word "Zenko" sounds so much less dignified than "Apple". Do not even say that it hails from the same old Church Slavonic. However, it is. Coarse vernacular, the expression "bat your eyes" or "stared zenk" means "to be surprised by something to such an extent that the widened pupils", or "looking at something". So from the same root occur and Zenica, which should be protected or stored, and zenk, signifying an extreme degree of amazement. Advice 3 : Where did the expression "cherish as the Apple of his eye"